Xtreme Gun 1911 5" Forged Stainless Frame 40 SW. Cut for Clark Para Ramped Barrels. .250 grip safety radius. Xtreme Gun 1911 5" Forged Stainless Frame 45ACP. Cut for Clark Para Ramped Barrels. .250 grip safety radius. Xtreme Gun 1911 5" Forged Stainless Frame 9mm. Cut for Clark Para Ramped Barrels. .250 grip safety radius. Xtreme Gun 1911 5" Forged Stainless Railed Frame 40 SW. Cut for Clark Para Ramped Barrels. .250 grip safety radius. Xtreme Gun 1911 5" Forged Stainless Railed Frame 45ACP. Cut for Clark Para Ramped Barrels. .250 grip safety radius. Xtreme Gun 1911 5" Forged Stainless Railed Frame 9mm. Cut for Clark Para Ramped Barrels. .250 grip safety radius. Xtreme Gun 1911 6" Forged Stainless Frame 40 SW. Round trigger guard. Cut for Clark Para Ramped Barrels. .250 grip safety radius. Xtreme Gun 1911 6" Forged Stainless Frame 40 SW. Squared trigger guard. Cut for Clark Para Ramped Barrels. .250 grip safety radius. Xtreme Gun 1911 6" Forged Stainless Frame 45 ACP. Round trigger guard. Cut for Clark Para Ramped Barrels. .250 grip safety radius. 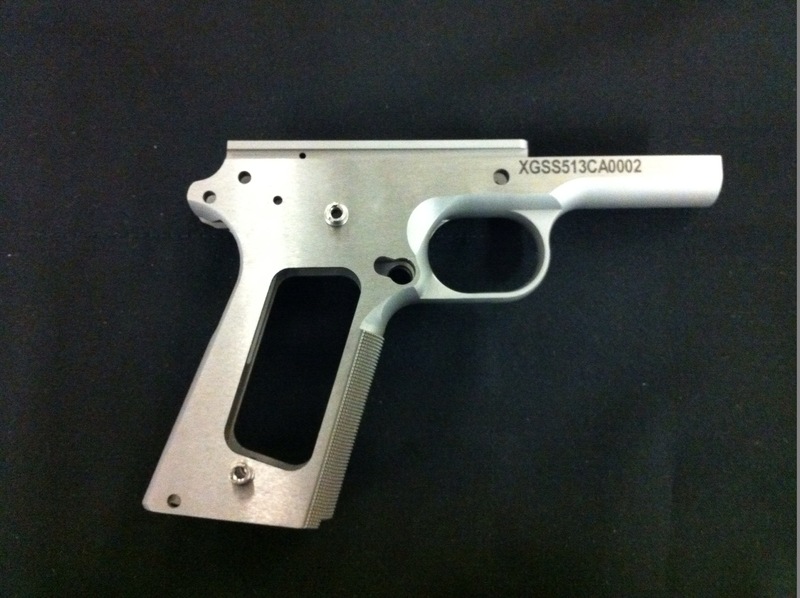 Xtreme Gun 1911 6" Forged Stainless Frame 45 ACP. Squared trigger guard. Cut for Clark Para Ramped Barrels. .250 grip safety radius.